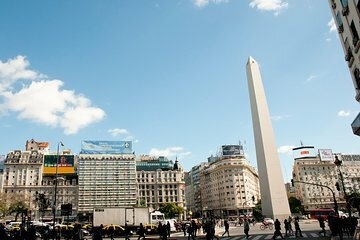 Explore the vibrant neighborhoods, historic monuments and unique culture of Buenos Aires on a comprehensive three-night tour, including 3-, 4- or 5-star accommodation. Start your visit with a 3-hour city sightseeing tour and see the historic Plaza de Mayo, the colorful district of La Boca and the lively market of San Telmo. Enjoy a dazzling tango show, accompanied by a delicious 3-course dinner, then make the most of your free time to discover the city independently.